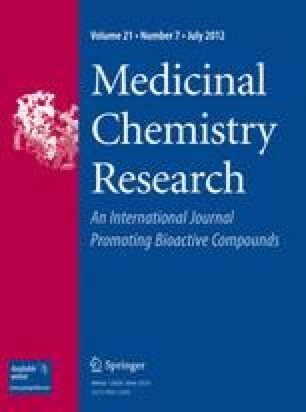 Synthetic thalidomide analogues (compounds 1–35), including phenylphthalimide, pyridylphthalimide, aminobenzylphthalimide, and diphenylazophthalimide, were tested for their cytotoxic effects on human cancer cell lines Hep2 (Human Larynx Carcinoma Cells), HL-60 (Human Myeloid Leukemia Cells), NUGC (Human Gastric Carcinoma Cells), and HONE-1 (Human Nasopharyngeal Carcinoma Cells) because the incidence rate is more prominent in Asian countries than in Western countries. Compounds 17, 27, 28, and 35 were found to have antitumor activity in Hep2 and HL-60 cell lines. Compounds 2, 4, 15, 17, 19, 20, 23, and 27 can inhibit nitric oxide (NO) synthase activity by more than 90%. These thalidomide analogues were found to be potent inducible nitric oxide synthase (iNOS) inhibitors, and the iNOS inhibiting potential of compounds 17 and 27 might be an advantage for anticancer therapy. In conclusion, inhibition of NO synthesis is a new development in cancer therapy for now and in the future. We modified the structures of the thalidomide analogues to have a stronger anticancer effect and a good therapeutic effect. We would like to thank Professor Jer-Yuh Liu from the Graduate Institute of Cancer Biology, College of Medicine, China Medical University for his consultation and invaluable advice on this paper. This study was supported by a research grant from Chung Shan Medical University Hospital, Taiwan (CSH-2011-C-001).